I confess, I am not above bribing my children. You can call it incentives or motivation, but who are we kidding? A bribe is a bribe is a bribe. Before I had kids, I swore I’d never use them. But everyone is the perfect parent before they have kids, aren’t they? My anti-bribing policy imploded long before my daughter turned two, and although I still believe the BEST incentive is praise, I do sometimes bribe my kids. After potty training two kids, I now appreciate how much bribing power lies within one tiny M&M. And now that the days of diapers are long gone, I try to make (most) of my bribes more meaningful—especially when it comes to reading. I want my kids to read because they enjoying reading, but we have offered various incentives along the learn-to-read journey. Why? Because when I was learning to read, I made the most progress the summer before second grade, thanks to an incentive program offered at our local library. Before that summer, I hated reading. But my mom took my sister and me to the library and signed us up for a reading program that tracked how many books I read by moving a piece of paper with my name on it along a railroad track encircling the entire inside of the library. Because of the thrill of seeing my name move farther along those railroad tracks, I read 100 books that summer. 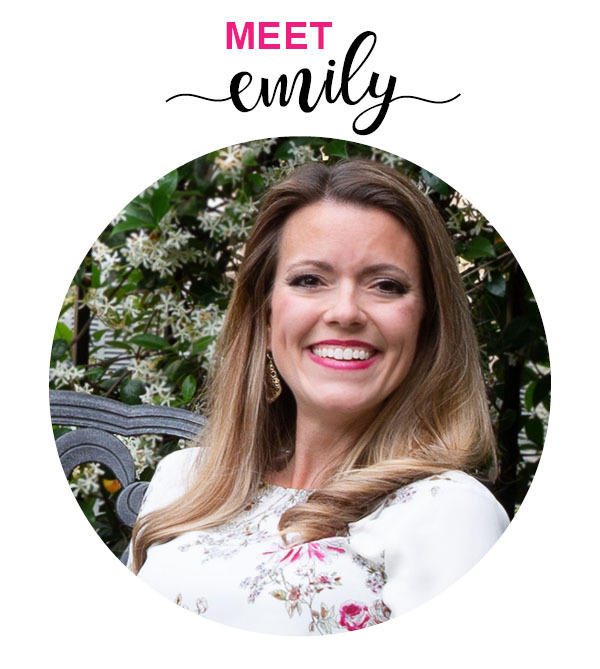 I started second grade feeling more confident and passionate about reading. Most libraries today have summer programs that help motivate kids to read by offering certificates or small incentives for reading a specific amount of time each day or completing a certain number of books. Summer is the perfect time for fun reading programs and activities. Two weeks after school let out last year, my kids went to VBS and participated in a coin-gathering competition to raise money for an international mission. They LOVED finding spare change around the house and donating it to a charity. And I loved their enthusiasm for giving. That’s when I decided to create what I call a Read and Feed Box. 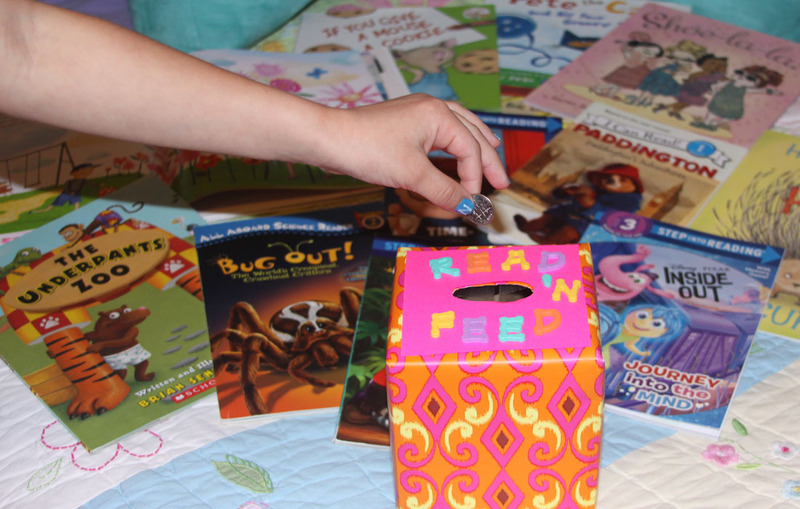 Our Read and Feed Box is an empty tissue box decorated with gift wrap and foam letters. My daughter wrapped it and decorated it, and I cut a small opening in the top. Each night before bedtime, after my kids read, I drop a coin or two into the box. At the end of the summer, we will take the coins to the grocery store and drop them in the coin machine to exchange them for cash. Then, we will go shopping! We will buy beans, rice, peanut butter and other essentials for our church’s food pantry. So far, I haven’t gotten any “Can I buy something for me instead?” questions from them, and the Read and Feed box has started a number of important conversations about charitable giving. The smiles on their faces each night when they drop the coins into the box tell me this truly is a meaningful reading incentive. Has your child participated in any summer reading programs they enjoyed? Leave a comment below to share! 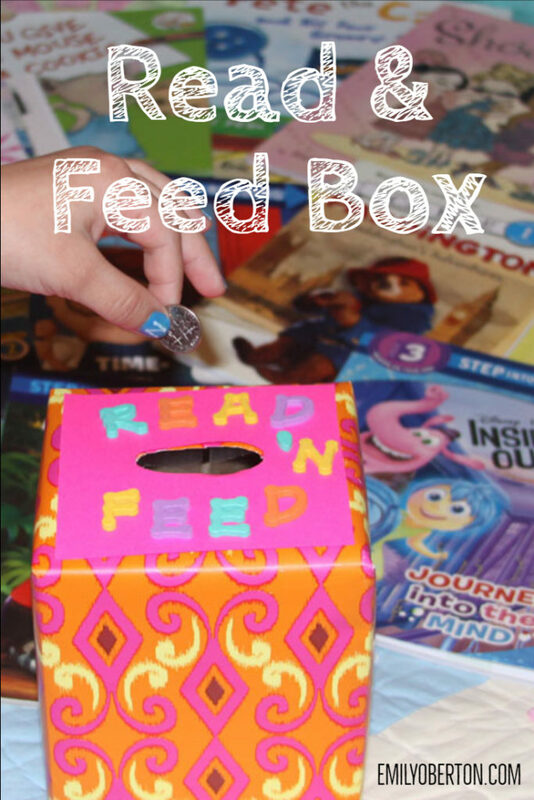 Start your own Read and Feed Box today!